Below are some general packing tips and information. Please read the luggage requirements and travel insurance information carefully. Please do your best to keep your luggage to 1 medium sized suitcase & 1 smaller carry on size for convenience. An additional backpack/camera bag is OK. Clothing: LAYERS is the name of the game here! Please remember: Neutral colors are best for our tiger safari. Avoid bright colors and white clothing. Light, quick drying pants, shorts and tops are best. insect repellant/bug spray (SHOULD CONTAIN 20-30% DEET (any more than this is NOT more effective and can damage clothes and your health!). 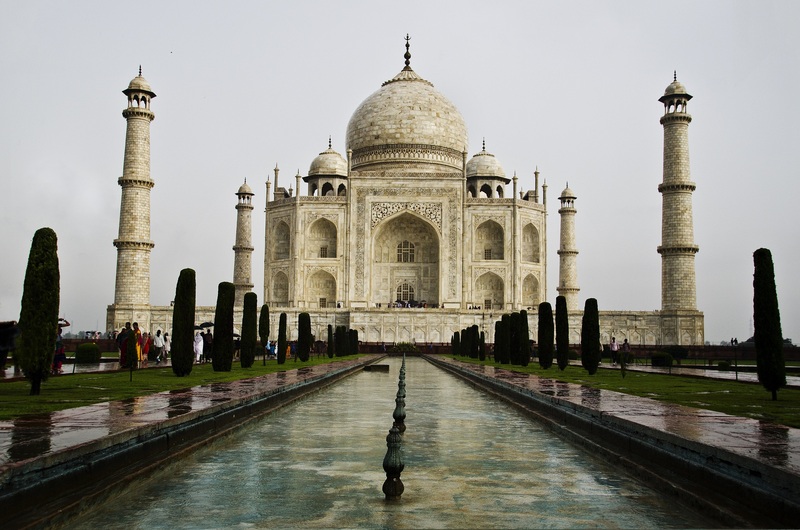 New Delhi, Agra, and the surrounding regions will range from high 80s to low 90s °F during the day and 75-80 °F at night. The chance of a wet day over the course of September is very rapidly decreasing, starting the month at 39% and ending it at 14%. Humid with partly cloudy skies will be the typical forecast. It’s already cold, by now (especially at night), but pleasant by high noon. The days are a lovely 60-68°F and all of Ladakh is rinsed by ample sunshine. The nights are back to being cold with lows around 35- 40 °F. Mostly sunny with few clouds & almost no chance of rain should be the typical forecast. We’ll be here during the tail end of the rainy season and the chance of a wet day over the course of September is very rapidly decreasing, starting the month at 54% and ending it at 25%. We don’t arrive until end of September so weather should be much dryer. Varanasi will range from high 80s to low 90s °F during the day and 75-80 °F at night. In Khajuraho Group of Monuments, the chance of a wet day over the course of October is very rapidly decreasing, starting the month at 20% and ending it at 5%. Khajuraho will range from high 80s to low 90s °F during the day and 75-80 °F at night (same as Varanasi). India is GMT + 05.30hrs (11.5 hours ahead of PST and 8.5 ahead of EST). Though a large country, India has chosen to keep one time zone throughout the whole country. This means that the length of daylight (sunrise/sunset times) will vary based on the region we are in. The voltage in India is 220-240. Please see link below for more information. Bring a plug adapter to charge camera batteries and any other electronics you may need. 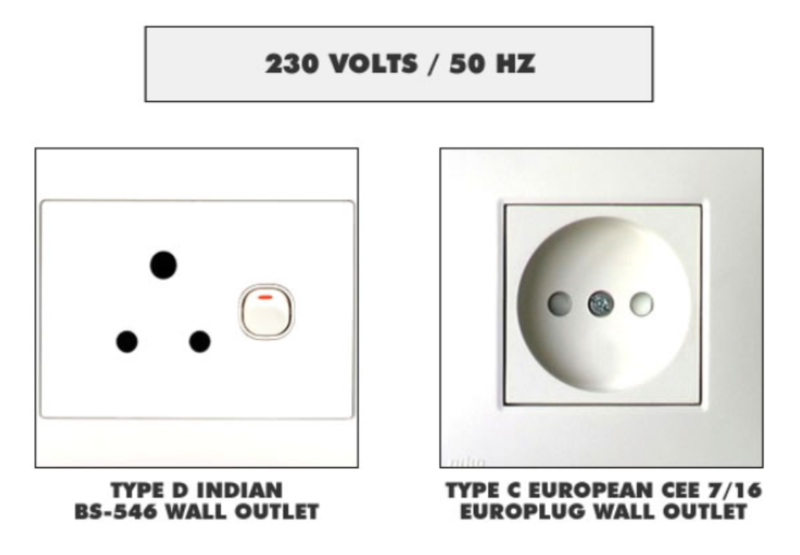 There are TWO types of plugs in India and you should bring an adapter for both. Sure, things are cheap to begin with and you may feel silly haggling over a few rupees, but keep in mind that if you’re given a verbal quote for an unmarked item, it’s probably (but not always) twice the realistic asking price. Use discretion though, because items that are priced ridiculously low to begin with are hardly worth reducing further — either you’re being conned or you’re being cruel. To haggle effectively, make a counteroffer under half price, and don’t get emotional. Protests and adamant assertions (“This is less than it cost me to buy!”) will follow. Stick to your guns and see what transpires; stop once you’ve reached a price you can live with. Remember that once the haggle is on, a challenge has been initiated, and its fun to regard your opponent’s act of salesmanship as an artistic endeavor. Let your guard slip, and he will empty your wallet. Take into account the disposition and situation of the merchant; you don’t want to haggle a genuinely poor man into deeper poverty! And if you’ve been taken (and we all have), see it as a small contribution to a family that lives on a great deal less than you do. Tips and gratuities to hotel, lodges, guides & drivers: Budget approx. $2.00 – $4.00 per person per day for lodge and hotel staff, $1.00 per bag for porters, $5.00 – $10.00 per person per day for guides, and 2-3.00 USD per day for drivers. Tips are optional but we highly encourage them if you feel the service deserves it. *Tipping guides and drivers is an expected practice similar to tipping waiters and waitresses in the USA. No vaccination proof is “mandatory” in order to get through customs however for your own personal safety you will want to consider malaria pills & hepatitis A & B, & the typhoid vaccine is also highly recommended. Please consult your physician for more information and recommendations. Most people find India overwhelming on the first few days of the visit, the number of people, the traffic, noise and smells seems to be everywhere. By the third day most people are used to the change and by the end of the week feel able to venture out on their own. Most Indians are extremely friendly and inquisitive by nature. They are also very hospitable and we will find that even our guides may happily invite us home for a cup of tea! Most people are ready to talk about anything and may ask questions which we may find intrusive from a western perspective; this is part of the culture where the term ‘personal questions’ doesn’t even have a literal translation. Another cultural idiom is the avoidance of saying no. When you ask a local for a yes or no answer, most of the time they will say yes or nod their head in an ambiguous manner even if the answer is no. It’s important to be very specific and confident in the answer you are given when speaking with locals.